Number of pages: 150 p.
Ella lives together with her father in exile on the Artic. The only living souls near them are made of ice. Ella has to stay away from them, because she is the girl that can catch on fire, which makes her very dangerous to the Ice people. Unfortunately she has not been able to control her gift for a long time. When her father dies, she has no one left. One day she meets Schots (Floe translated to English), he is an Ice boy, who has colt feet all the time. He dreams of the sun on his skin and seeing the world beyond the ice. When they decided to go on an adventure, an unexpected friendship develops. But nothing is what is it seems in the end. Melissa wake up in the woods. There is just one problem. She is not entirely human any more. It is a beautiful sunny day. A group of boys drives through the middle of nowhere, with a big secret in their trunk. Then from no where there is the fog, the world has turned into a wintery hel. First publish as part of an anthology called Suspense. Ellia is on the run. She has stolen something valueable and is on her way to her lover, but has her own reasons for this. The story was first published in a anthology named Fantastic Batteground (Books of Fantasy). 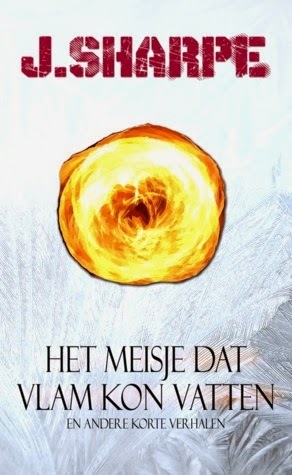 The Girl That Could Catch On Fire, is a collection of short stories by J. Sharpe ( Psuedoniem voor Joris van Leeuwen) die ik mocht ontmoeten op Elfia. Daar stond Joris op de stand van Zilverspoor zijn boeken te promoten. 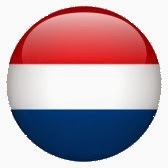 Al was ik niet meteen om bij het horen over zijn andere boeken, wist hij mij wel te intrigeren toen hij vertelde over het meisje dat vlam kon vatten. Ik besloot om deze verhalen bundel te kopen. Ik heb er geen spijt van, Het Meisje Dat Vlam kon Vatten was het echt waard, wat een leuk origineel verhaal is dit. Wat ik wel jammer vond was dat er veel vertelt werd in plaats van dat aspecten aan onze verbeelding werd over laten (show, don't tell). David Estes heeft hierover een heel interessant artikel geschreven die kun je hier lezen: Show vs Tell. Een ander minpuntje nou ja deze kun je zeker als positief beschouwen, het verhaal was te kort! Dit had van mij wel een volledig boek mogen wezen, ik vond het echt een goed verhaal. Het wekte echt veel verschillende gevoelens bij me op en oh de honden! Ik kreeg even een flash back naar Eight Below (weet je wel die film met de sledehonden?) . In ieder geval goed verhaal dus 3 schaatsers! This is the second short story in this collection of short stories. This short story was smart and well written with a bittersweet ending, very impressive. The third short in this collection is The Fog, after two fantasy oriented short I now found myself in a more mysterieus and violent world. This story I liked the least of all four, it was a little predictable, but the concept was very tempting. I found this story to be more one to read for guys than that it was for girls. That might be the reason I liked it less than the others. This short story was only 8 pages, what the hell can you tell in only eight pages? Well, I must say quite a lot. This story was very entertaining, too bad that it was much too short. This collection of short stories is absolutely worth your time, especially the first story, which was the best of all. I enjoyed all stories even though the were not perfect. So I will give this collection 3 skaters.